PLDT subscribers are given various options to pay their PLDT bills online and offline. In fact, thousands of authorized payment channels are available nationwide. You just need to choose which channel or payment option is the most convenient to you. For me, nothing beats than paying PLDT Bills online. I am a fan of online banking because it is the easiest and most convenient way of paying bills. In order to pay your PLDT bills online, you must first enroll your savings account with your bank’s online banking facility. Then, you need to enroll PLDT as a company/biller to your online banking account. Once PLDT is enrolled, it will automatically show up as one of the options when you pay bills. To pay your PLDT bills online, login to your online banking account using your username and password, click the option to pay bills, choose PLDT as the company/biller, then enter the correct amount of your bill. A confirmation page and email will be sent to your registered email address once your payment transaction is complete and successful. Pay the exact amount as stated on your PLDT bill. Pay your PLDT Bill online before its due date. Most banks don’t accept late payments online. Pay your PLDT Bill on time to avoid disconnection. Once your PLDT subscription has been disconnected due to late payment, settle your payment immediately at any accredited payment center, and call PLDT Hotline 171 to request reconnection. To pay PLDT Bills over the counter, just go to any of the listed banks above, bring your PLDT bill, and the exact amount of your payment. If you want to know how to pay PLDT Bills using credit card, inquire or visit your bank to enroll your credit card to PLDT Auto-Debit Program. Once your credit card is enrolled to ADP (or ADA), your PLDT bill payment will automatically be debited/deducted from your credit card account on a monthly basis while your subscription is active. To pay your PLDT Bills via the ATM, insert your ATM card in the ATM machine, and follow the instructions on the screen on how to pay bills. Make sure you have enough funds in your ATM account to push through with your PLDT bill payment. To pay your PLDT Bills via Phone Banking, your bank account must be enrolled in Phone Banking. Once it’s enrolled, you just need to call your bank’s hotline number and pay your PLDT bill over the phone. For most people, paying PLDT Bills at the payment or bayad centers is the most convenient for them. Why? Because they don’t need to enroll online. They don’t even need to have a bank account to pay for their bills. And, bayad centers everywhere. They are very accessible. 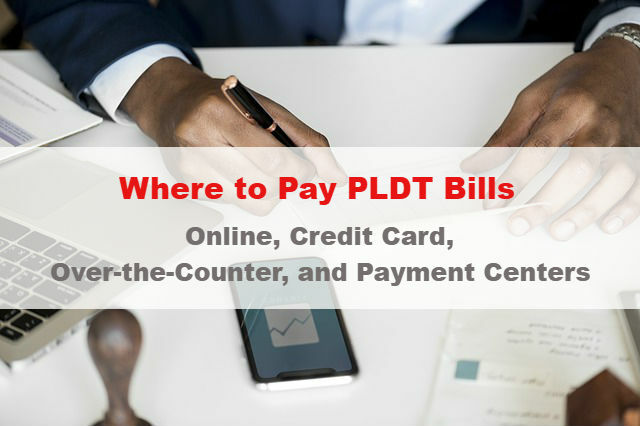 To pay your PLDT bill at the accredited payment center, just bring your PLDT billing statement and the exact amount of your payment, plus some extra cash because some payment centers may charge a minimal fee for your bills payment. To find the nearest store or payment center, click here. Step 1: Go to SMART Menu. Step 2: Select Smart Money. Step 3: Select Pay Bills. Step 5: Enter the Biller Code 05012 (PLDT). Step 6: Enter Bill Account Number and press OK. Step 7: Select source account. Step 8: Enter Amount (use # or * for decimal point) and press OK to confirm amount. Step 9: Enter the W-PIN. Step 10: Wait for confirmation. You can now check PLDT Bill online, archive, and even pay your PLDT bills 24/7 at the PLDT Bills Online website. But before you can do that, you need to register first at https://www.pldt.com.ph/billsonline/. Once you’re registered, follow these steps to check PLDT Bill online. 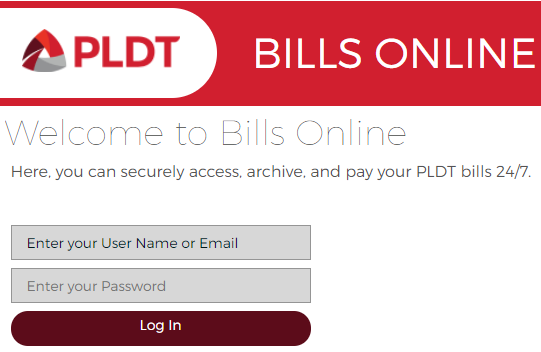 Login to PLDT Bill Online, then enter your User Name or Email and Password. Once you’re logged in, go to Your Accounts and hover your mouse cursor to the gray box area where you can see your PLDT Account Number. Then, click Manage. Go to Billing and Payment. Then, under View Billing Statements, click GO. You can now view and check your monthly PLDT bills online. If you wish to have a copy of your PLDT bill, click the applicable month that you want to view, then print. You will also receive your monthly PLDT bill through your email. This is called the PLDT Paperless Billing. Aside from checking your PLDT bill online, you may also inquire your PLDT bill balance by calling the PLDT Billing Hotline. Press 2 to access billing concerns. Once your PLDT Account details have been validated, you will hear your current or latest PLDT Bill information or outstanding balance. pano po kung cheque po ang ipambabayad?